Walkie Talkie - Salut Quentin! As a child of divorced parents, I moved a lot and lived in several different cities. My mom settled in the suburbia of Halle (it’s low-key cooler than you think), my father city-hopped through Wallonia before picking a home in the quiet country side of Liège. Spending most of my time in the proximity of Brussels and having bilingual parents, I was meant to become a real Brusseleir. In 2015, I began my studies in Communication Management at Erasmushogeschool Brussels -located in the heart of the Dansaert area. I spent the last three years getting to know every nook of Brussels, while still living at home and enjoying the luxury of casa di mama. Last year, I completed my first internship as a marketing trainee at BRUZZ. It doesn’t get any more ‘Brussels’ than that! The past months, I finally realized it was time to slowly stand on my own two feet and discover another, new city. 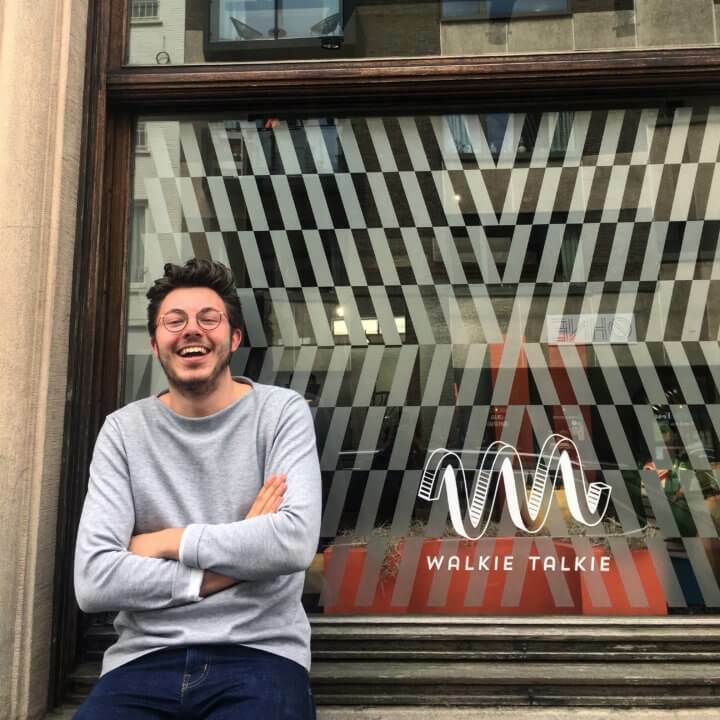 No sooner said than done, I applied for an internship at Walkie Talkie in Ghent. Two months ago I moved in with my best friend Anna in an apartment at Dok Noord. We feel like the real-life Rachel and Monica, because our friends come over all the time (we even have our own Joey and he goes by the name of Kasper). I’m already so in love with this neighborhood and I can’t wait to explore more of this wonderful city.